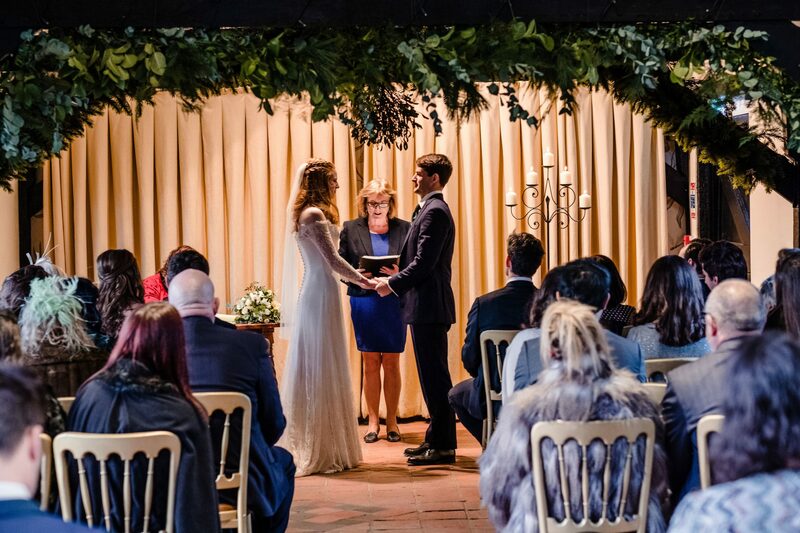 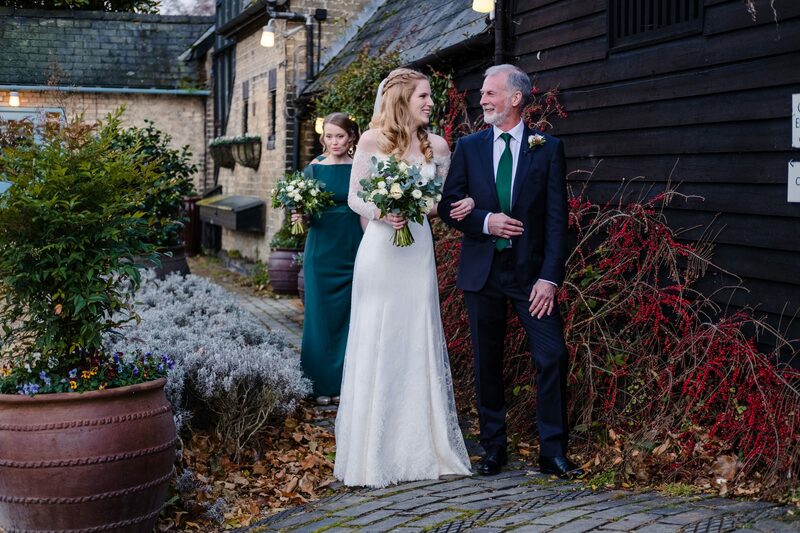 For Sarah’s wedding, we created a bespoke dress of slipper satin and French corded lace. 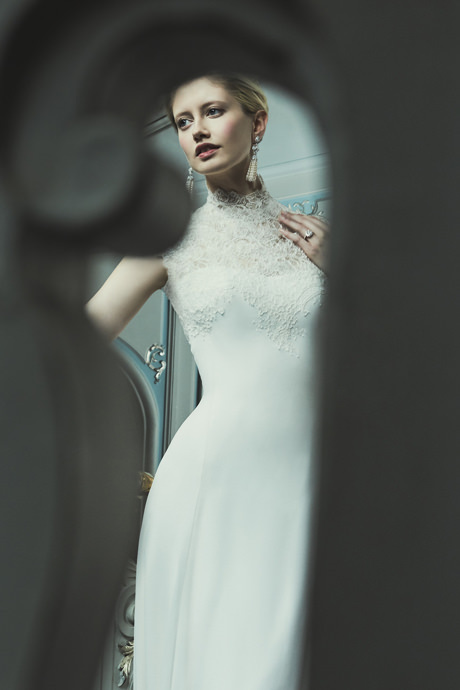 With our signature Phillipa Lepley corset hidden within, Sarah’s dress was fluid and light, the lace moulded to the bodice and appliquéd throughout giving a seamless finish. 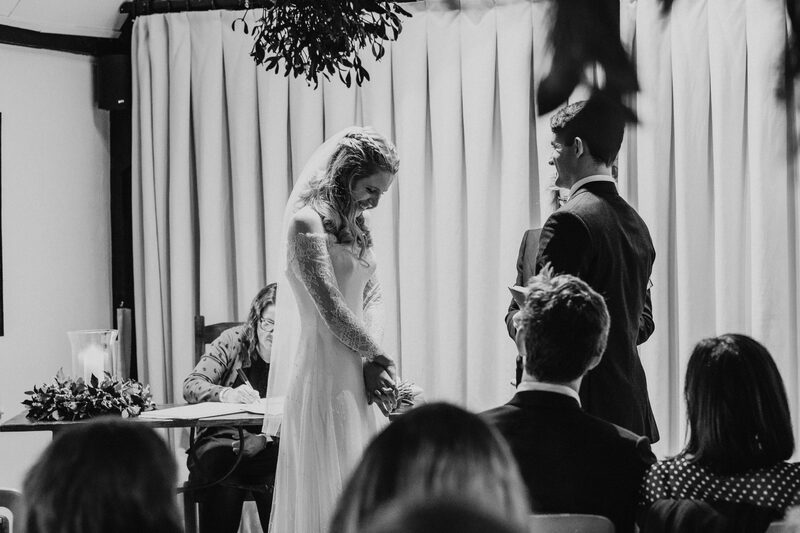 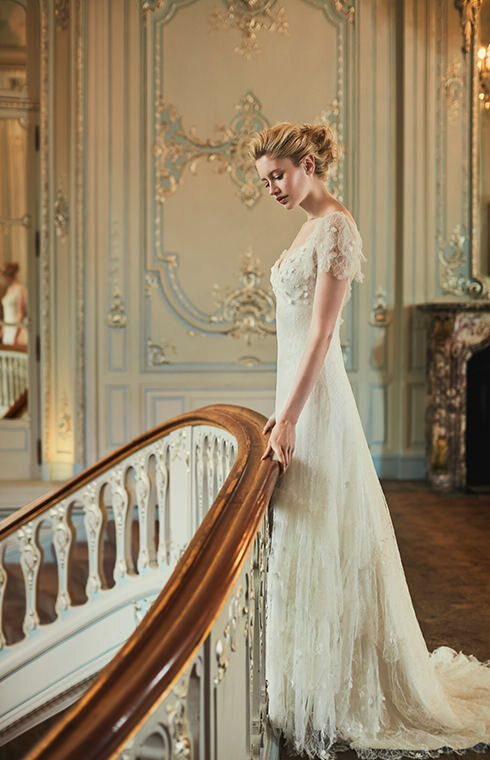 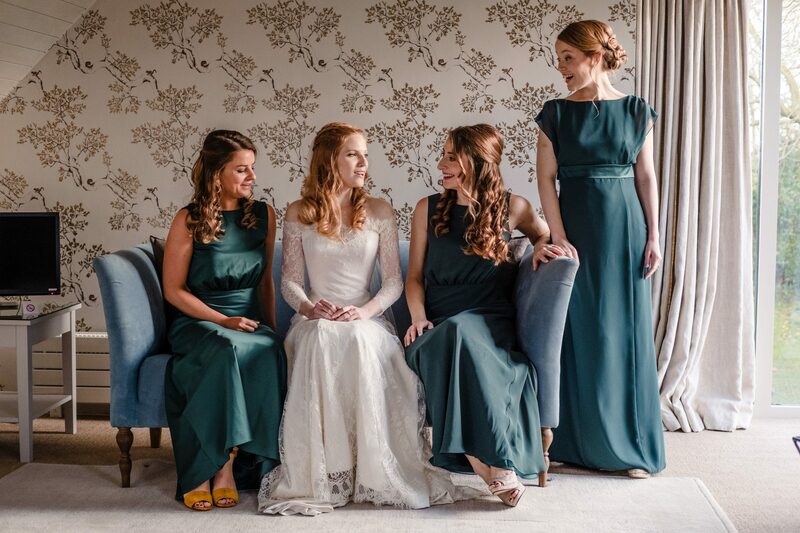 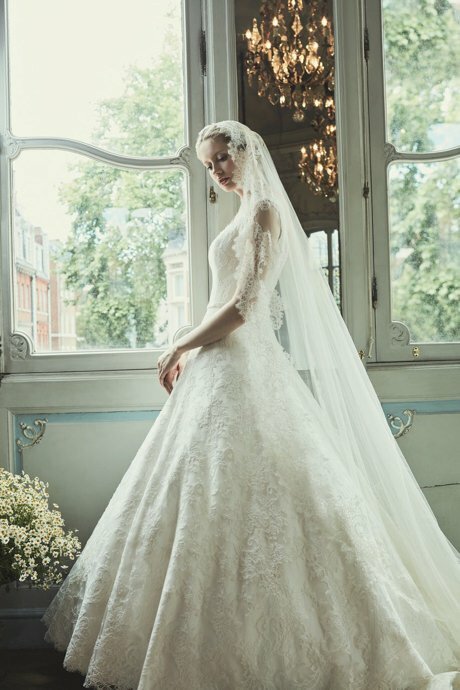 Through Sarah’s fittings our team developed a scalloped off-the-shoulder lace neckline that framed her shoulders and décolletage beautifully, extending into 3/4 length sheer lace sleeves finished with delicate covered buttons and loops at each cuff. 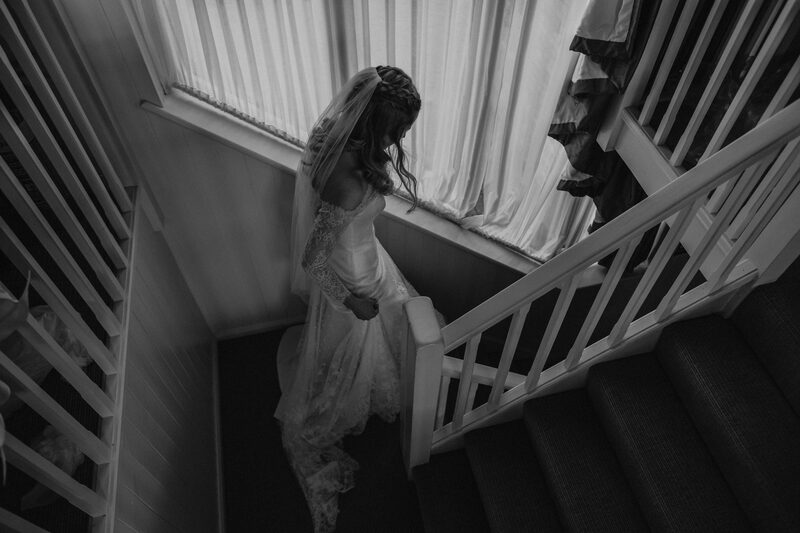 Sarah was keen for her veil to be as light and whimsical as possible so we developed a veil of the finest silk tulle with her in her fittings. 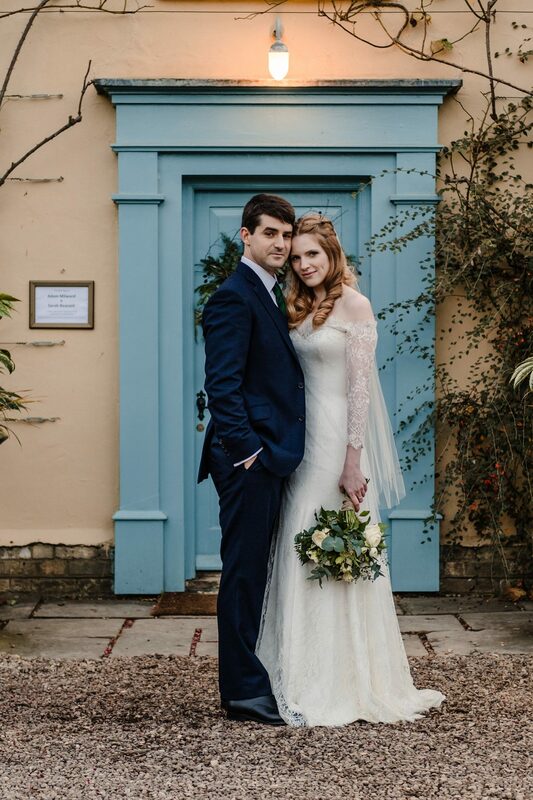 Every detail of Sarah’s look was chosen specifically for her: from the ivory lace that complimented her flawless complexion and auburn hair to the striking off the shoulder neckline, every element was planned to perfection.